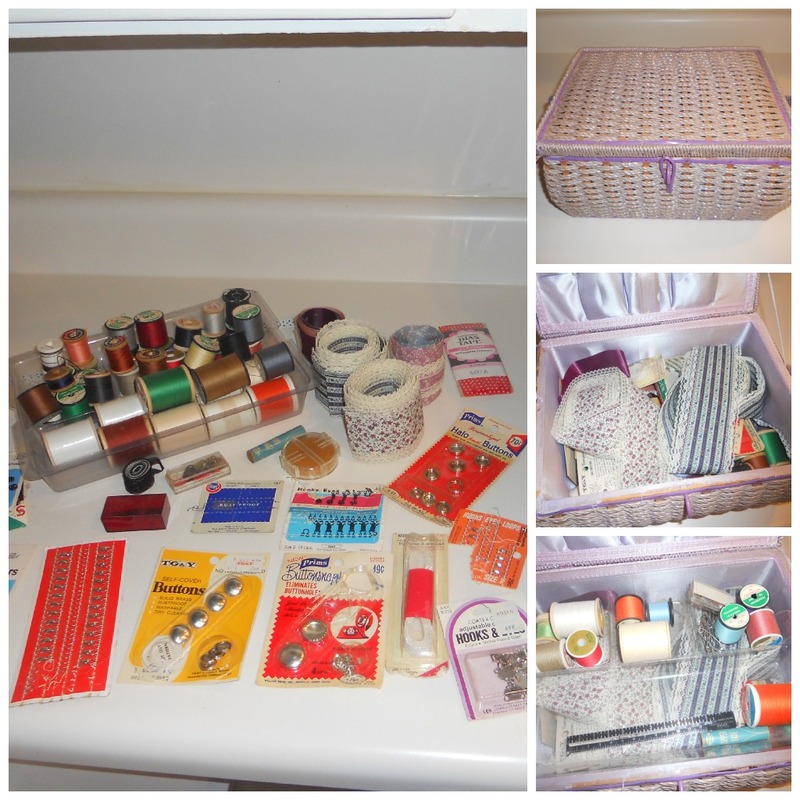 I have been collecting a small assortment of vintage sewing stuff lately. Baskets, buttons, thread, notions... I'm not really doing it on purpose. I didn't set out to do it but it seems every time I run into old sewing stuff at a thrift shop or antique store I can't leave without it. There's just something about it that draws me in and stirs up memories of my mom sewing away and having this stuff spread out all over the kitchen table. This is the basket that I found at a local junk store. Not that I need another one but it was priced fairly cheap and plus it was almost overflowing with goodies. So how could I resist? The basket itself is not in great shape but I just couldn't wait to get home and go through all the cool stuff inside. It's like a newly discovered treasure. I also bought this box full of bias tape and this bag of crochet thread. The thread was only a dollar for the whole bag. I've never used this small thread before but the red, green and white colors screamed Christmas so I know I can use them for something. These are my vintage treasure for the week. Great find on that basket, my mom had a pink one almost like that! I have to agree and say things seem to just make their way to you sometimes! 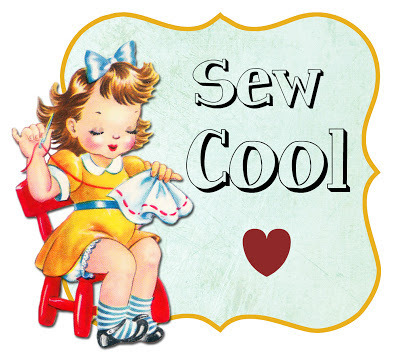 Thanks for linking in, happy vintage thingie thursday! I love your sewing basket, I love going through sewing notions too! Some things just catch our eyes and will not let go. Usually those big into sewing go wanta everything they see.